Councillors have called for more extracurricular activities and events looking at future careers for young people after the success of an engineering masterclass series. 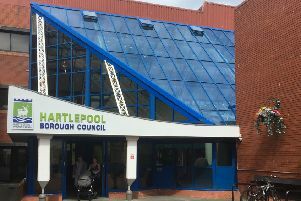 It comes after Hartlepool Borough Council bosses evaluated the engineering masterclass sessions held by The Royal Institution in the town at the end of 2018. The six sessions featured an energy car challenge, mechanical gearing, electronics of prosthetics, blood clotting, bridge building and electronic circuits, and 16 Year 9 pupils took part from across the borough. Student and staff feedback found all involved enjoyed the sessions and councillors have echoed their support for the programme and said they want to see more work like this done. Coun Ann Marshall said: “I think it’s brilliant children are allowed to actually do something. “I remember being asked at 14 what I wanted to do and I didn’t have a clue. I wish there had been more hands-on activities where you got the chance to try different things. Coun Brenda Harrison said: “It is fantastic what is being done. Coun Shane Moore said: “I like the fact these are being done in Year 9 and catching students before they take their options so it makes them think further ahead. Council bosses also said they wanted to see the activities being offered to children at even younger ages and during the school holidays. Mark Patton, assistant director for education, said: “It costs us minimal amounts to do something so exciting and so engaging as this just by working better with partners. “A lot of it is done with goodwill with ambassadors and professionals from the industry who see the need to influence these youngsters choices really early and in fact I would like to see them start even earlier than Year 9. Coun Sue Little said: “There’s lots of anti-social behaviour around the town and this could get some of our children off the streets and doing a summer camp. The councillors also agreed for the organisation of a further engineering masterclass series this year.